Days after both Indian and Pakistan air forces engaged in an aerial combat resulting in the loss of a fighter jet from each side, a top American newspaper has raised question about the Indian military capabilities. “The aerial clash, the first by the South Asian rivals in nearly five decades, was a rare test for the Indian military — and it left observers a bit dumbfounded,” says the New York Times, pointing out the crash of a Soviet-era MiG-21. The Indian jet was crashed during the skirmish and its pilot Abhinandan Varthaman was taken into custody by Pakistan army. He was, however, released after two days with Pakistan Prime Minister Imran Khan terming it as a “peace gesture”. The two nuclear-armed neighbours engaged in an aerial dogfight a day after a fleet of Indian Air Force Mirage 2000 fighter jets crossed the border and pounded a major terror training camp at Balakot in Pakistan. 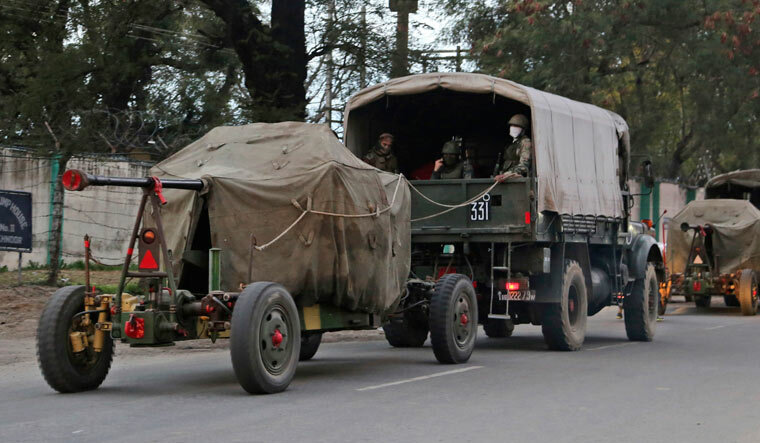 The counter-terror operation was in response to a suicide attack orchestrated by the Jaish-e-Mohammad on a CRPF convoy at Pulwama in Jammu and Kashmir leading to the death of 40 jawans. In the article, NYT South Asia correspondent Maria Abi-Habib argues that India's loss of a warplane to a country whose military is about half the size and receives a quarter of the funding was still telling. “And 68 per cent of the army’s equipment is so old, it is officially considered 'vintage',” he says. Citing government estimates, the newspaper claims that if intense warfare broke out tomorrow, India could supply its troops with only 10 days of ammunition. “It was an inauspicious moment for a military the United States is banking on to help keep an expanding China in check,” the article further states.